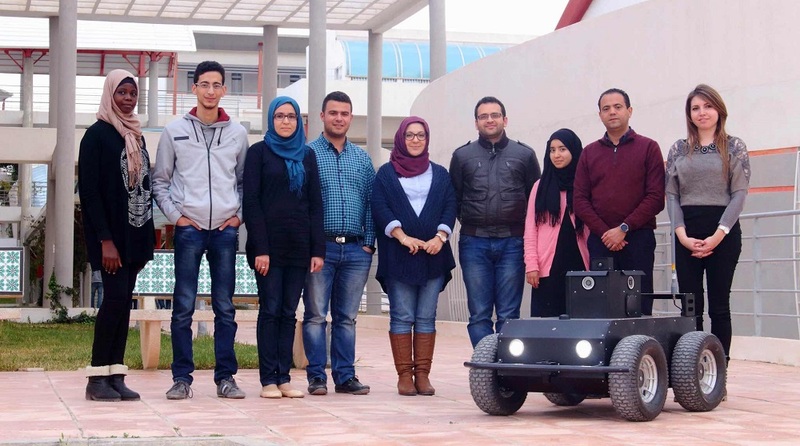 Enova Robotics, a Tunisian robotics startup has raised $1.6 million investment in what’s the largest-funding round for a Tunisian startup, according to our data. The investment came from Tunisian investment firm Capsa Capital and valued the company close to $5.4 million. The startup was founded by Dr. Anis Sahbani, a PhD in robotics with more than 10 years of experience in teaching and research at some of the leading French universities including Pierre and Marie Curie University. He founded Enova Robotics after returning from France to Tunisia in 2014. Started with initial capital of $30,000, Enova Robotics now designs and manufactures its own branded robots – perhaps the only company in Middle East & North Africa to do so. They currently sell four types of robots for different categories including education, healthcare, security and marketing. Their first product, MiniLab, is an educational robot that could be used for robotic research, education and experimental application development as it comes with an open-source control architecture based on Robot Operating System (ROS). With the price tag of little over $4,500, MiniLab offers trade-off between robustness and economic competitiveness. Normal industrial robots these days are easily priced anywhere between $50,000 to $100,000. MiniLab comes with the option to have it navigate autonomously or teleporate using its camera which transmits video in real time. Enova had exported first MiniLab in 2014. PearlGuard, the security robot that is Enova’s flagship product can be used for surveillance. Price at almost $80,000, It is a four-wheel drive mobile base that comes with electric motors and batteries that allows the robot to patrol for up to 8 hours. It features a set of infrared cameras in addition to a thermal camera, an omni-directional audio acquisition system, a sound and light alarm system, GPS and laser telemetry system. PeralGuard comes with a remote interface that allows its users to remotely control the robot and access all the sensors to stream GPS position or watch the video. The interface also displays robot speed, fault detection, and batter status. In case of an intrusion, the robot displays a warning message on the interface. Not entirely sure what exactly it detects and qualifies as intrusion as it could sometimes be difficult to differentiate between intrusion and regular movement. Launched in September 2015, Enova claims PearlGuard to be first of its kind in the world available for civilian use. Speaking to MENAbytes about the investment, Dr. Anis Sahbani, the founder and CEO of Enova Robotics said that they plan to use it to open a branch in France that will be used for R&D and to develop their after-sales services for European market. They also plan to use a part of the investment to extend their activities into rest of MENA, which they see as a big market for their products. Since starting in 2014, Enova Robotics has sold more than 50 robots all across the world until now and their eyes are now set at selling $30 million worth of robots. The startup currently has more than twenty engineers working for it in Tunisia and France with most of them in Tunis and they plan to take this number to 35 by the end of this year. Correction: A previous version of this article had mistakenly mentioned the price of MiniLab as $20,000. It has now been fixed with the correct price, $4,500.